In my recent blog, How Digital Frontrunners is shaping policy design for the digital age, I described how international collaboration and research led us to identify four challenges that governments should prioritise to foster more inclusive and adaptable labour markets. This blog looks at the first of these four challenges: anticipating the skills people need for the jobs of the future. It is now well-known that technological change is disrupting the labour market. We can see that the demand for people with technical skills is increasing (often outstripping supply). But that is just part of the story. What’s less apparent are the specific effects that the application of new tools have on existing jobs. As tasks are automated, the jobs of people who currently perform them will change. For some, this will mean taking on new responsibilities within their current workplace. Others will need to find new jobs in unfamiliar industries. In either eventuality, people throughout the workforce are likely to need new skills; a recent survey of firms conducted by the World Economic Forum found that 54% of all employees will require extensive upskilling or reskilling by 2022. 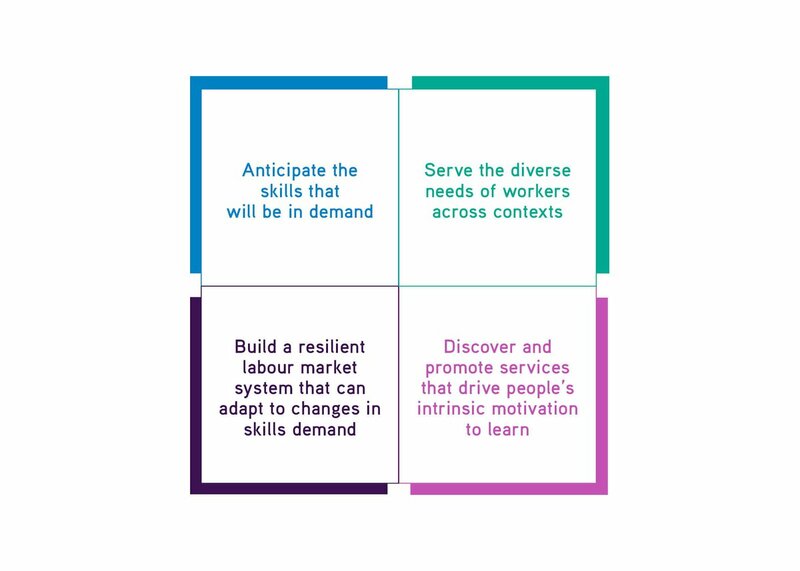 Anticipating which skills will be valuable is therefore a priority for governments working to foster adaptable labour markets in which everyone can participate. The pace of change is fast: 43% of employees in the EU have experienced a change in technology at work in the past five years. In this era of rapid technological change, established methods for skills anticipation can be too slow. Governments and organisations have begun exploring new ways to predict changing demand and supply of skills in a more timely manner. One innovative approach makes use of job advertisement data and machine learning algorithms. 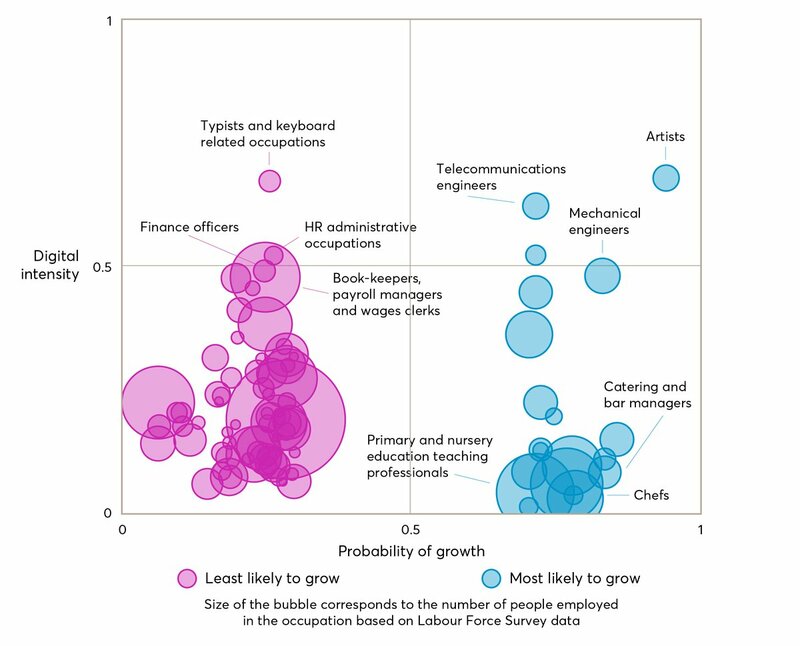 Researchers at Nesta used 41 million job adverts to examine the digital skills required in different occupations, and compared demand for these skills to each occupation’s prospects for growth. They found that the digital skills most likely to be needed in growing job sectors are ones that are used in non-routine tasks, problem-solving and the creation of digital outputs. By contrast, digital skills for clerical tasks are set to experience shrinking demand. 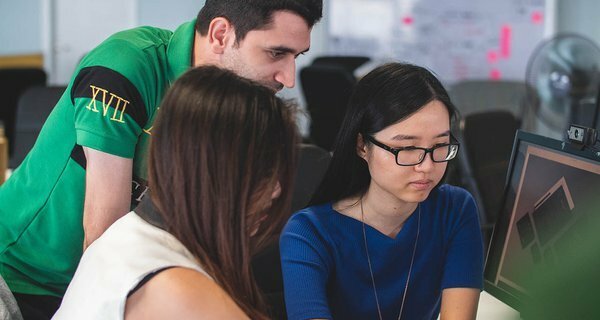 Not all digital skills, then, are created equal. The research is significant because it suggests that investment in training should be led by a close examination of the value of specific digital skills. And, it should support the development of complementary skills such as creative thinking. Otherwise, people risk investing in certain digital skills that have limited applications and may become redundant in the not-too-distant future. 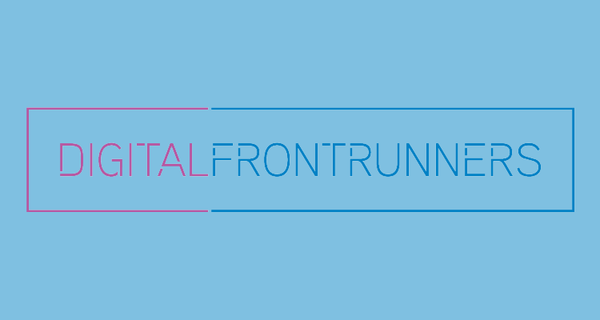 What are the Digital Frontrunners doing? Through the Digital Frontrunners programme we found that similar approaches to skills anticipation and job matching are being applied in Finland and Sweden. In Finland, the Ratkaisu 100 challenge prize run by Sitra, the government’s innovation fund, awarded €500,000 to Headai, an organisation that uses artificial intelligence to map skills needs and provision. Headai’s “micro-competencies” service analyses around 1,000 job advertisements daily to identify which skills employers are looking for. It also aims to map the skills that are available in the workforce by drawing from various sources of open data available online. 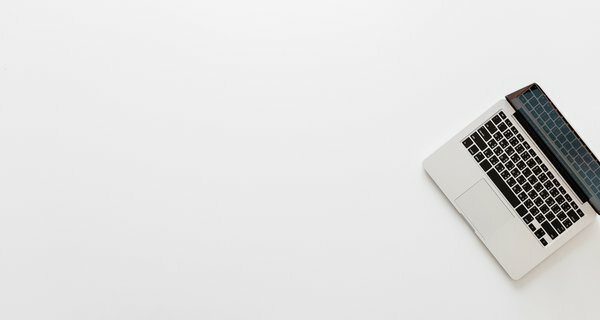 In 2017, the Public Employment Service (PES) in Sweden launched Jobtech, a platform that provides access to an array of labour market datasets compiled by the agency. These include occupation forecasts, current and historical job adverts posted through the PES, and a dynamic competence map created by algorithmically analysing 6.3 million job adverts. The Jobtech team is developing new ways to collect and analyse labour market data by using artificial intelligence, and is honing its methods in collaboration with PES analysts. Applying machine learning to job adverts can provide a continuous and granular analysis of the skills that are needed by employers. The method is still in development and is limited by biases in the available data — in the UK, for example, job advertisements tend to be biased towards high-skilled roles. But it undoubtedly demonstrates a promising new avenue for skills anticipation in the digital age. This post is adapted from the report, "Digital Frontrunners: Designing inclusive skills policy for the digital age". We’re delivering a collaborative programme to help senior policymakers create a more inclusive digital economy. A blueprint and guide that policymakers and other stakeholders can use to design inclusive skills policies for the digital age.